After finishing the half, I continued to eat as though I was still running twenty miles a week. Liam decided he did not want to continue with Laid-Back Fitness. (Nothing happened, he just wanted a break.) Without Liam’s parent discount and the time for me to workout while he is in class, it didn’t make sense for me to continue. I hurt my calf doing speedwork and couldn’t run for over two weeks. It got ridiculously hot. Then we went on vacation for a week, following the mantra “do what you want” for eight days. My view for a week during our annual trip the beach house. I was up five pounds the day we went away. When we returned, I was up ten. That is what eight days of eating cinnamon rolls and bacon for breakfast will do. I am not a huge drinker, sometimes going weeks without even having a single adult beverage. While on vacation, Mike and I drank beer each night while sitting outside, listening to the waves, watching the stars, and chatting away. With beer came cheese and crackers and, before we knew it, we were indulging in a day’s worth of calories after Liam went to sleep. When I returned home, I fearfully crept on the scale, learning I was up five pounds in eight days. Time to get back on track! This week marks the official start to training for my second half marathon. Now that I know I can run thirteen miles, I want to focus on getting stronger and faster. I’ve worked too hard to only come this far. It’s time to hit the reset button and get back on track. 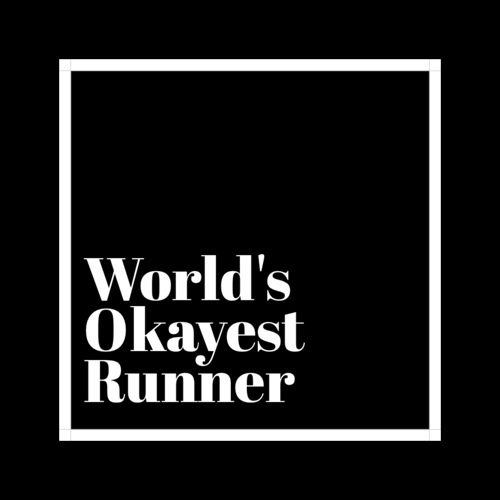 By the end of the school year, I created a pretty good routine to make sure I was ready for my first half marathon. I would come home, change, and take Banjo with me on a short run, picking Liam up from school and walking home together. Now that we are both out of school, I pondered how to get in my runs as I begin training for my second half. When a friend asked if Liam and I would be interested in training for a 5K in the fall, it seemed like a perfect reason to introduce Liam to running. He is excited to run with his friend. Proof that Liam is my kid: he insisted on packing a snack for the run. We run no more than a mile. Walk when you need to walk. We set out, walking a block before beginning to run. Liam took off, which I knew wouldn’t last but let him play it through. After a few minutes, he was tired. I set the one-minute interval on my app that I usually use for speed training. He did fine with this, then decided to use landmarks as goals. “We can run to the main road, then walk to the next street, and run again.” It was a perfect setup! When we were close to the one-mile mark, I noticed our pace was 13:35; I decided to push a little further so we could finish at 13:30. I am beyond thankful that Liam is interested in running. I hope it becomes something we can enjoy together. Much like our daily walks with Banjo, I appreciate the opportunity to connect with Liam and talk about life. I only have a few summers left in which he will want to spend most of his time with me; I need to enjoy them while they’re here! This one hits close to home. This past month has provided countless opportunities for reflection and perspective. Being asked to reflect upon what stands in your way is especially fitting this week. Self-doubt and Worry I have it. I continuously question my abilities. Am I a good parent? Am I a good teacher? Am I a good wife? Am I good enough friend? Do I have any business writing about running? Am I spending enough time playing with Liam? Am I hovering? Do I check in my friends often enough? While doing all of these things, how do I keep my own head above water? Running and weight-lifting have taught me that I am stronger than I think, but I am always doubting myself. Not Asking for Help Mike is a saint when it comes to this. Somehow, it has come into my mind that being a good wife means taking care of as much as I possibly can. I get home before he does and get laundry, dishes, lunches, cleaning, and dinner taken care of before he gets home. By the time he gets home, I’m exhausted. Mike tells me to leave stuff for him to do, yet every day, I feel the need to take care of it myself. I take care of holidays, birthdays, and events without asking for help, then get overtired and grumpy. It’s a vicious cycle, one in which Mike does a fantastic job of tolerating from me. I fight the same overwhelming meltdown several times a year, and Mike gets me through each time. Social Anxiety Maybe I hide this. Maybe I don’t. I fear silence in small talk and talk too much then I worry that I dominated said conversation. I try to make a point of asking more questions while talking. Then I get together with a group and, for fear of dominating the conversation, don’t say much. On those rides home, I worry that people thought I was disinterested and won’t invite me in the future. I avoid certain social situations in which I know there will be a lot of small talk for fear I will talk too much or too little. I replay conversations in my mind, searching for spots where I may have messed up. Usually, I ask Liam the same questions in the weekly prompt. It makes for interesting conversation while walking Banjo. This week’s topic is not one I want to ask Liam to reflect upon. We sometimes say he is his own worst enemy. He gets worked up about problems and spends more time worrying about them than it would take to fix them. He will spend a half an hour arguing that he doesn’t want to do math homework or clean his room, only to admit defeat and get the task done in less than ten minutes. This is part of being a kid. Overall, Liam is a thoughtful, intuitive kid. He’s is going to get himself right where he needs to be. This is a common encouraging phrase heard in the workout circuit. Yes, it is true when it comes to working out. I can now do things I never thought I’d be able to do like run fast(ish) miles and complete half-marathons. But it also applies the regular life. This week marked the eighth anniversary of my mom’s passing. I never really know what to do on that day. The first year, we took the day off and went to the area where her ashes are spread. We went to get ice cream at her favorite ice cream parlor. Now, I am not allowed to take personal days during the last two weeks of school and her favorite ice cream parlor is closed. I wanted to take Liam, Mike, and Banjo up the street to our local place, enjoy the company of my favorite boys, and have a sweet treat. The universe had other plans. My friend’s dad passed away this week. The wake was scheduled on the anniversary of my mom’s passing. I selfishly wanted to get there at the beginning, pay my respects, and take care of my own mourning. Liam had other plans. He did not want to go with me, having attended my cousin’s services last week. I was not going to push it. He was fantastic last week and two wakes in two weeks is a lot for anyone, nevermind an eight-year-old. I tried not to cry while I waited in the receiving line. This is not about you, I told myself, be strong for your friend. And that was it, a whole conversation while embraced in a hug. I managed to hold my own tears. I managed to not think about the conversations I wish I could have, the things I wish my mother could have taught me. I thought of what I wished someone had said to me when my pain was fresh and I was adjusting to my new normal. Every year, I look for signs from my mom. Sometimes, she shows up in a dream. My son starts singing one of her favorites songs, that he has no business knowing, such as the words to Lionel Richie’s classic “All Night Long.” I see a rainbow. My mom always took care of others. This year, she took the focus off of my own self-pity and provided the opportunity to take care of someone else. Maybe I am making the events fit into the idea I need, but I’ll take it. It’s hard to believe that we have only had Banjo in our lives for four months. He settled in and life has never been the same. He is the happiest dog I’ve ever met, complete with enough personality for many dogs! I know that he struggled for a while before being rescued from a road in Lousiana. He was twenty pounds lighter, a third of his current body weight. We often wonder what his life was like or even what his name used to be. I’ve learned a lot from this little pup. Focus on the positive. We often wonder what happened to this happy-go-lucky pup, what made someone dump a dog they had obviously put a lot of work into. We had hoped that he just ran off or got lost, but an interaction with an acquaintance with a specific look made it clear that Banjo had some interactions with humans that were less than positive. In spite of that, Banjo has more love to offer than any dog I’ve ever met. Demand love. During our walks with Outtie, he would try to catch attention at the bus stop of high school students we pass each morning. None of them seemed interested in giving Outtie pats. Banjo demands it, walking to each teenager and stopping until they acknowledge him. He doesn’t jump or step into personal space; he just simply stands next to each person for a moment, giving them an opportunity to give him love. After several months, each student now smiles, says hi to him, and gives him a few pats while he wags his tail and smiles back. Life is too short not to find places to give and take love. Show people you love them. Banjo is a love bug. He nuzzles, stays next to you, and smiles all the time. It is evident he is overjoyed to be surrounded by people who love him and is always more than willing to show his affection and appreciation. Be active. We have learned that it is pretty much impossible to tire this dog. He will chase the ball every time you throw it, even if it means making himself sore the next day. We learned that we have to be the ones to stop playing because he will play as much as we let him. He loves running with me and going to walks. Banjo is a dog who needs daily activity. You’re never too busy to give love. Banjo will be in the middle playing or relaxing. If he sees someone walk into the room or yard, he stops what he’s doing, walks over, and offers love. It’s a nice reminder that we, too, are never to busy to be nice.